Lochaline Harbour is run by Morvern Community Trading Company (MCTC). MCTC is a trading arm of Morvern Community Development Company (MCDC). 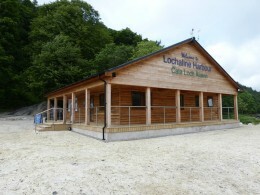 MCDC were responsible for the building and installation of the pontoons and the harbour facilities. All the revenues received from Lochaline Harbour are reinvested in facilities and projects in and around Lochaline.